Steven Butala: Today Jill and I talk about the truth about contracts. The guidelines are really enforced. So we’re gonna talk about contracts with a lot of personal experience, actually. We’re going through some of that stuff right now. Jill DeWit: I have so many examples of … everybody gets hung up and says, “Oh, it’s in writing and I sign there.” But the reality is nobody cares. A, it could be a cocktail napkin and you cou;d submit that as your document, number one. And number two, good luck, no one fights this stuff. It’s comical. Jill DeWit: Contracts are out the window. Steven Butala: You’ve got some stuff you want, I’ve got some stuff I want, let’s get through it. Hey, that’s the end of the show. Jill DeWit: There we go. Call it done. Steven Butala: Before we get into the topic, the real topic, let’s take a question posted by one of our members on the Land Investors online community, it’s free. Steven Butala: The producer didn’t put his last name in here for a reason. Jill DeWit: That’s where you get their information. All you need is their name address and a purchase price. Seems really complicated. Steven Butala: Oh, my gosh, where do I start about this? Steven Butala: Can I answer this? Jill DeWit: Yeah, oh, my goodness. Of course. Steven Butala: On the onset, the data that you include when you do a mail march to send out an offer campaign, roughly includes this. Seller name, seller address. Steven Butala: The property information, the APN, the amount of the offer. Jill DeWit: The size, the zone. Steven Butala: And a few other little things. Okay? So I understand the question. Why do you need all the Assessor information and why do I need to spend 250 bucks a month to subscribe for this and download it? And here’s why. Pricing. 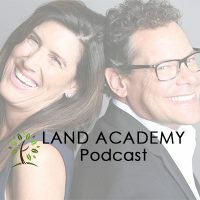 If you follow our show or Land Academy in general at all, it’s imperative.pricing is everything, it’ll make and break the success of an offer campaign. So you absolutely need all the Assessor Data that they assessor tax roles play a huge part in how you price land and houses. A huge part in how you price commercial land or info lots. Not as much rural vacant acreage or land, but the other product types, it’s imperative. So the education product that Jill and I kick out really, I mean, it’s a how-to, no stone unturned, how to use this data and why it’s important. Here’s a simple example. If you’re gonna buy info lots in an urban area, do you wanna send offers ut in a market where the days on market are, the day that properties are listed out there, are 180 days? Half a year? Or you wanna send it out on market where it’s 20 days. Where you know that everything is buying and moving and people are buying properties and selling them., the whole market is just moving. You’re gonna price things differently in market like that, then you are in market where in 180 days. And you’re also going to mentally expect those two completely different environments to do transactions in. We happen to like fast markets, quick nickles, slow dimes. And I’m just scratching the surface here, this is an incredibly complex and it’s a very good question. So why do we obsess on Assessor Data? ‘Cause it’s the right way to do this. Jill DeWit: Well, I’m just, Steven, like I’m gonna take it just from the very most simple, basic reason, which is it’s the most current list of who owns the property. The minute that the property is transferred and the person’s name, their banking accounts aren’t updated, their address at the post office is not updated, but the property is updated with the county. So it’s the most current to date best information. Also, I wanna know, I only wanna send these offers to not only the real person. The seller wherever they are in the world, I wanna have their mailing address. I also want to make sure I’m sending it to the right property. I wanna make sure it’s zoned the way it wants to be so I buy it. Jill DeWit: I don’t want to just get a list of everybody in the zip code, because I don’t want to send them an offer if it’s like industrial property that I don’t wanna touch, that’s a waste of time and money for everybody. I also want to confirm the size on things like that, that may not be correct if I’m just randomly buying a list of who owns that piece of dirt. I also want to scrub for just the [curight 00:05:43] assessed value. We talk to people about this, if yore sending an offer to an area and maybe you can only afford to buy property up to X amount of dollars, we don’t want to insult the planet and if somebody’s got a beautiful corner property next to a Starbuck’s that’s worth 600,00 dollars, you don’t wanna insult them and send them an offer. So I need that too, to make my list as good and specific as I can. Steven Butala: It’s imperative. Jill and I go to a lot of live events, or we did in the past actually. And every once and a while I ask people, how do you get deals? And some of them say well we do this, this, this, and this. And we used to send out offer campaigns but we really couldn’t get that to work for us. And when you dig in a little bit deeper on every single person I’ve ever spoken with, they’re not using Assessor Data. They did a list. They buy a list of office building owners and they send it out and then they wonder why nothing happened. Jill DeWit: Well, you know what I questioned? I question, number one, where that list came from. ‘Cause if you really dig back, back, back, back, back, back, back, it had to start with the assessor. And then I bet it’s a three year old list that’s been sold six times, kind of thing. Steven Butala: The actual person who owns the property, the property itself. It’s imperative to use Assessor Data and learn how to do this correctly and you will buy and seel real estate for the rest of our life with huge success. That’s the short answer. If it’s not super clear about why Assessor Data is so important, then you can just stop listening to the show. Jill DeWit: I think it’s the cheapest too. Steven Butala: Actually, just go buy a convenience store or something. Jill DeWit: I’m just thinking, say you wanted to get a list of everybody who owns a house on the block, right? But what am I gonna do? Pay my assistant to knock on doors, “Hi, can I have…” or whatever it is. That’s not gonna work. Even sources that they say they can skip trace or get the information, they gotta get it from somewhere. So I’m just like let’s go to the source and get the cheapest, best possible. It’s the best. Steven Butala: Ride around the ocean trying to figure it out. Because that’s the equivalent of it. Steven Butala: That’s really what you’re doing. Jill DeWit: That’s a perfect analogy. Steven Butala: You’re just throwing a bunch of stuff up on the wall just to see if it sticks. Jill DeWit: Just to see if anybody bites. Steven Butala: Why wouldn’t you get all the information on the fish? Right down to like the fish type? Steven Butala: It’s amazing what’s available. Jill DeWit: That’s nice. I only want tuna, this size. We know where to go, that’s how we do. I love it. Thanks Steven. Steven Butala: Today’s topic, the truth about contracts and guidelines that rarely get enforced. This is the meat of the show. So recently I answered a slew of questions about, “Hey, why do you guys include this?” Because if you go to offers to owners, this is where it all starts. On offertoowners.com, which is the printing company Jill an di own, there’s template agreements for what we use for houses and to buy houses, and it’s open to the public. Buy houses and land, and some of them are from a distant past. And there’s a couple of conditions in there that say stuff like this, “Please include a title plan if you have it available for our consideration to purchase your property.” Well that was like probably two to three years old and it was based on … so my point is, in the purchase agreement that we ask them to sign when we mail it out, there’s these conditions in there and it’s technically a contract if they sign it and send it back. They’re obligated to close a deal, we’re not. Jill DeWit: So are we. Jill DeWit: Well, we have the conditions. Steven Butala: So this, Jill, just bring sup my absolute point, does it say we have to close a deal? Not really. Doe sit say they have to close a deal? Yes. If they change their mind are we calling attorneys and are we saying, you know what? I’m gonna force you to sell this property. Is that the kind of person, investor that you wanna be? Jill DeWit: And good luck doing it, by the way. Seriously. Steven Butala: It’s gonna cost you a fortune. Steven Butala: Nobody wants to do stuff. Steven Butala: That they don’t wanna do, nobody wants to be shoved into something that they wanna do. By the way, all this week, it’s the truth. Everybody just wants the truth about this stuff. Jill and I crack. Honestly, when all the cameras are turned off and the mics are turned off, and Jill and I are sitting around with a cup of coffee, the stuff that cracks us up the most is people just … there’s a lot of people in this business that don’t tell the truth. Steven Butala: Other people that hold these events, that’s what happened. That’s what started this this morning. Jill DeWit: No, well for me this morning, it started, and there’s gonna be a show, I think, about it this week. It was the whole we buy ugly houses methodology that really makes ne mad. And so it started like, gosh. The truth about contracts and what we’re talking about this whole week is how do people walk around this way? And it’s not right, I’m trying to be politically correct. But it’s not right, and a little bit sneaky what they do. They make people scared, they make you think that by signing this agreement, that’s it. You’re not going back, and that’s not true. Steven Butala: I think the root of it is just lack of experience. Steven Butala: By the person whose delivering the message. Whatever message they’re saying. Jill DeWit: Oh, I don’t think so. I think they’re told that message. Steven Butala: I think there’s a lot of inexperienced people who love to get in front of a camera. They love the camera, and so that’s driving their decision to do whatever they’re doing instead of what should be driving it is actually helping people. Here’s an example. Jill and I taught a class, we were guests at a college for a while. And we would teach for a while. The professor would ask us to come in when they couldn’t make it. And so I’d start the whole class off, it was the last class in a Master’s degree, and MBA. It was called Being An Entrepreneur. And I said, up til now, I’m sure you haven’t learned X, Y, and Z, and every single kids jaw was on their desk. 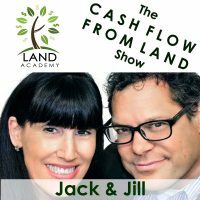 So I said, Jill and I are gonna spend the next hour telling you how the real world works, how to do well financially, what to expect from your first job, your last job, and how to get out of it or into it, and they were absolutely amazed we told the truth. Jill DeWit: That’s what this whole week is. Jill DeWit: That’s our whole business philosophy. No, I’m not kidding. I’m serious. Steven Butala: That’s why we don’t need to do this. Jill DeWit: I think that’s why we’re here. Steven Butala: That’s why we’re here. Jill DeWit: Hold a moment, I think that’s why we’re here and I think that’s why our whole community is so successful. Good, bad, or otherwise, we’re gonna tell the truth. And sometimes, I wish Steven wouldn’t tell me the truth, but he does. Steven Butala: I wanna hear an example of that. Jill DeWit: It’s girl stuff. Steven Butala: Is this my bottom look pic? Jill DeWit: Yeah. C’mon, we all know you have told me flat out, “You know Jill, that’s not your best look.” And I have to accept it. You have used those exact words on me and it’s okay. Jill DeWit: Yes you have. It’s okay. You asked so I shared. You know what? You asked so I’m telling the truth. Steven Butala: I’m trying to thing what my version is of that. Steven Butala: Yeah, that’s right. Steven Butala: Or cut all kinds of other stuff. Jill DeWit: Yeah. So, I want to just reiterate the thing today, which to me is we want you to know that even our contracts, that what we send out, like Steven was sharing, you can find versions of it if you go to offertoowners.com and you go to forms. They’re right there for everybody to see if you wanna look at our home offer sheet and our land offer sheet. You can see them both right there. And if you read the, at the bottom it tells you, we reserve the right to buy except for A, B, C, D, E, basically all these things. And one of them is like we might flat out just not like your property. Almost like that, so we have an out. But there isn’t one for them. But the big picture is we’re not gonna enforce it. If somebody signed it, sent it back, and ew said okay, let’s do this. And who knows, whatever, oh my gosh, my brother-in-law just called and he wants to buy the property after all, this happens. We’re like great, thanks, well if anything happens let us know. No, we’re not gonna go, you signed this and we have to follow through. No, it’s doing the right thing. And then, the reverse is true, and the point Steven is saying is the bigger picture is we want you to know about it, you want to be aware about it, and we want you to always do the right thing. That’s the most important thing, let’s all get what we want. Steven Butala: To counter my own point, our point here, here’s where it is appropriate to sue the hell out of somebody because they earned it. I was involved in a completely different company where we really heavily relied on a supply chain. I’ll put it in offers to owners terms. Steven Butala: On the back end of offers to owners, Jill and I utilize years and years of relationships with multiple commercial printers. Some of them are star performers, some of them not so much, and some of them we never talked to them again, that’s fine with me. Steven Butala: What happened, this is long before Land Academy, it’s an example. We utilized suppliers. Well one time I was involved with a company that promised all this stuff, they put it all in writing and they showed us this is what we’ve done. It was all lies, all of it. They just wanted the first payment. And so, I’m not gonna end what really happened here, but that the end of it you can imagine what happened. We sued the heck out them, pretty much destroyed this guys life, and he did it to himself. Jill DeWit: Well, wait, we didn’t know. Steven Butala: This is not us. Jill DeWit: No, I know I’m just saying. Steven Butala: This is a company I was involved in years and years ago. Jill DeWit: You didn’t, he did it to himself. Steven Butala: So I’m not saying contracts are silly and forget about it. I’m just saying in real estate deals like this, where there’s 20, 30, 80, 100,000 dollars involved, it’s not worth it. It’s like getting upset about road rage, it’s just not worth it. Jill DeWit: You weren’t doing it and you weren’t suing him to prove a point, I’m sure. You were trying to recoup your money. Like hey, I just paid this guy, I want it back. It’s not like we’re gonna walk away. Steven Butala: Right. Know your contracts place, let’s say. Jill DeWit: Exactly. From my ending is you always want to enter into them with goo faith, doing the right thing, conveyed to everyone. Make sure everyone is on the same page. Hey, we got your signed offer back, we’re excited. We’re reviewing it now. Steven Butala: We agree on the price. Jill DeWit: Yeah, let’s agree on it. Steven Butala: On a time frame. It’s a guideline. Steven Butala: Oh, we’re gonna eat it? Jill DeWit: Yeah, we’re gonna eat it. Steven Butala: Good for us. Jill DeWit: Because I did. Because I did promise it, I’m not gonna go to her and go oops, and by the way it’s because of a title agent who may have missed it. We’re checking it right now, we think that we’re right and it’s not. But if we;re wrong and this title agent confirms that this 2,000 dollars is off, I’m not gonna go to her and it was a mistake and now I’m taking 2,000 dollars off the top. No. I’m gonna do the right thing, she’s counting on that check. It was not a deliberate thing on anyone’s part, it was missed and so I’m gonna follow through. Know your contracts and go into them with … be a good person and follow through. And by the way, by doing this, I know what’s gonna happen, this person has other property that we’re hoping to acquire. And this is not the reason that I’m doing it, but I’m sure it helps. Jill DeWit: Because at the end of the day, I know that this seller knows that we’re good people and we stand by on our word, even if we made a mistake. So, if and when she decides to sell other property, we will be her first phone call and it’s just good karma anyway. Steven Butala: And there’s another underlying message here, and my hats off to you. You’re checking the escrow agents work, yore not just trusting. Especially real estate agents, really just trust what an escrow agents doing and they don’t even look at it. They don’t look at the map. Jill DeWit: They make mistakes, man. Jill DeWit: All the time. Steven Butala: All the time. This is a 2,000 dollar mistake. This is a perfect contract example. This is a 2,000 dollar mistake that they’re making, and we’re not even … we are absolutely right to eat it and the whole deal, and with a smile on our face. Steven Butala: I know we’re right. Steven Butala: So we could look the contracts … this is a huge title company, and I’m sure we could send it up to the top of the CEO and scream and kick. Jill DeWit: Say, you guys are slowing down our deal, making a mess. Jill DeWit: Even if we’re making ten, it’s the right thing to do. Steven Butala: Right. I agree Jill. Well, you’ve done it again. You’ve spent another 15, oh, my gosh, 20 minutes listening to the Land Academy Show. Join us next time, where we discuss the truth about property tax bills. Jill DeWit: And we answer your questions posted in our online community, it is free. And you can find it at landinvestors.com. Steven Butala: You’re not alone in your real estate ambition. That got a little ranty. Jill DeWit: Well, you know? We’re passionate. Passionate I think is a good term and I’m glad. I’m glad that we’re sharing this stuff. People need to hear this. Steven Butala: I think so too. Jill DeWit: I think people are … it’s like you have a surgery, we all panic. Say you had a surgery two years ago, and the bill shows up, right? In the mail, and you think you paid all the bills. And you’re looking at a bill. I don’t know if this ties together for you, but it kind of does for me. My first instinct is, oh, shoot. Did I forget to pay someone, I didn’t do something right. You need to double check your work and it may not be right. So I don’t know how that ties to contracts now. I thought I was going down a really good path here, but now I realize it doesn’t really make a whole lot of sense. Steven Butala: We have a buddy, here’s a better example. Jill DeWit: Please save me. Steven Butala: A more fun example, maybe not better. Steven Butala: Who owns a bar, like a liquor only bar in old town Scottsdale. It’s called Old Town Tavern, if you’ve ever been to Scottsdale, you can’t miss it. Steven Butala: He bought this property and he bought the company for not a lot of money, because it wasn’t doing well. But it was in a perfect location, he added live music, he expanded. He kicked the sticks out of the actual floor plan of the property and expanded onto what was city property. Steven Butala: And as you can imagine, City Hall is about 300 yards away. So as you can imagine, there’s live music, and there’s tables all over the city property, and so you can imagine what happened. Well, this guy;s from New Jersey, and he doesn’t take stuff lying down. I personally learned a lot from this whole situation, this went on for years. Steven Butala: Jill and I don’t choose to be those kinds of people, but most of the time. Steven Butala: But there’s a place for it. Share the fun by subscribing at ITunes or wherever you’re listening and while you’re at it, please rate us there.